The Channel pattern chart borrows its name from the geometry of how rivers flow. A channel is formed when the energy of the river encounters a barrier (river bed). The river will hit this barrier and reverse in the opposite direction, hitting the barrier on the other side. This zigzag pattern of flow forms the bases of the channel pattern chart. This zigzag pattern of resistance and support movements occurs in foreign exchange markets because FX trading is also a form of non-random energy that is dissipated. The channel pattern is used to analyze a trading price action in respect to the shape its price-chart creates. 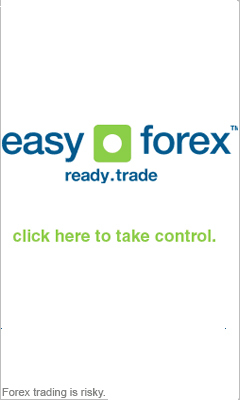 The Forex channel pattern aids in the prediction of short term price action. The FX trading channel pattern is one of the most powerful and consistent patterns used in FX trading. A Forex channel pattern is formed by two trend lines, drawn in parallel to each other. The higher line of the Forex channel pattern acts as a resistance line and the lower line forms a support line. The Channel pattern chart may vary with price movement and may transpire as upward channels, downward channels or sideways channels. In an upward channel pattern chart (rising channels) the support line forms the vital trend line. In a downward FX trading channel chart the resistance line forms the most important trend line. It is common that the support and resistance lines of a channel pattern chart will be tested alternately before the price breaks out. A new trend will form soon after the price has broken out of the channel chart. This newly formed trend may be short or medium term based on the volatility and movement of that current market. If the foreign exchange chart creates a channel formation, the trading price will be moving between the upper and lower boundaries of the “channel”, until it can’t be contained anymore. The stock price will then break out of the “channel” and price action will become volatile. While prices are decreasing within the increasing price trend channel, it is safe to assume that price increases will continue. Foreign exchange channel patterns forms part of continuation patterns that indicates a short pause within a rising trend and is commonly found in the centre of a larger price movement trend. A breakout of the upper trend line will indicate an opportunity to buy, while a breakout of the lower trend line will signal a strong selling opportunity. Traders rely heavily on rising channel charts to assist them in price predictions. Advanced software is utilized by traders to aid them in plotting charts and identifying foreign exchange channel patterns. It is thus vital for any successful trader in the foreign exchange market, to acquire themselves with the knowledge of identifying and analyzing foreign exchange channel patterns.